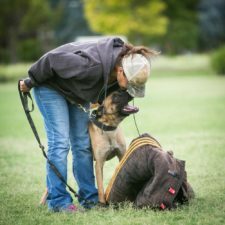 Improve your relationship and build confidence in the training of your pet or competition dog with our online, interactive coaching experience. Traditional dog training is no longer the most effective. Think about it. You meet with your trainer, and have to focus on your dog, your leash, your rewards, and what it is the trainer is actually saying. The whole thing can get a bit overwhelming. I always tell my in person clients "You'll hear 70% of what I say. You'll remember 50% and you'll implement 30%". Plainly stated, in traditional training programs, the focus is on the dog, NOT the learning that happens at the other end of the leash. While trainers are spectacular at changing behavior in their four legged friends, changing behavior in dog owners is often a skill that hasn't been fine tuned. And since YOU are the one doing the training, YOUR learning and retention is critical in your overall success. In our exclusive and interactive online programs, we've filled that gap, giving you dog training designed with YOU in mind. Built around fundamental concepts of human psychology and how PEOPLE learn best, we've optimized dog training to give you REAL results. Here's how it works. You'll undergo an initial interview, so we can get to know you and your dog better. Then, you'll submit a video of your training, so we can see the work you are doing, and provide you an extensive evaluation. We'll then schedule your session and Trainer Meagan Karnes will spend time with you LIVE, unpacking your video, showing you those areas where you are doing awesome, highlighting those areas where you could improve, and sharing ideas to improve your communication and optimize your training. This isn't just an email chain back and forth, where ideas can get lost in translation. This is a fully interactive video experience where we SHOW you how to improve your training and clarity with your dog, and how to maximize your results while troubleshooting problem areas. Not only is our program designed to improve your training and handling, its also built to improve your critical thinking skills, giving you new tools to assess the training you are doing, that you can carry over into all of your lessons moving forward. YOU Are Your Dog's Trainer....Not Me. Regardless of what type of training you do, YOU are your dog's trainer. Even the most skilled trainers and behaviorists miss this key point. YOU need to understand your dog's behavior. You need to learn WHY your dog does what he does and how to stay one step ahead. 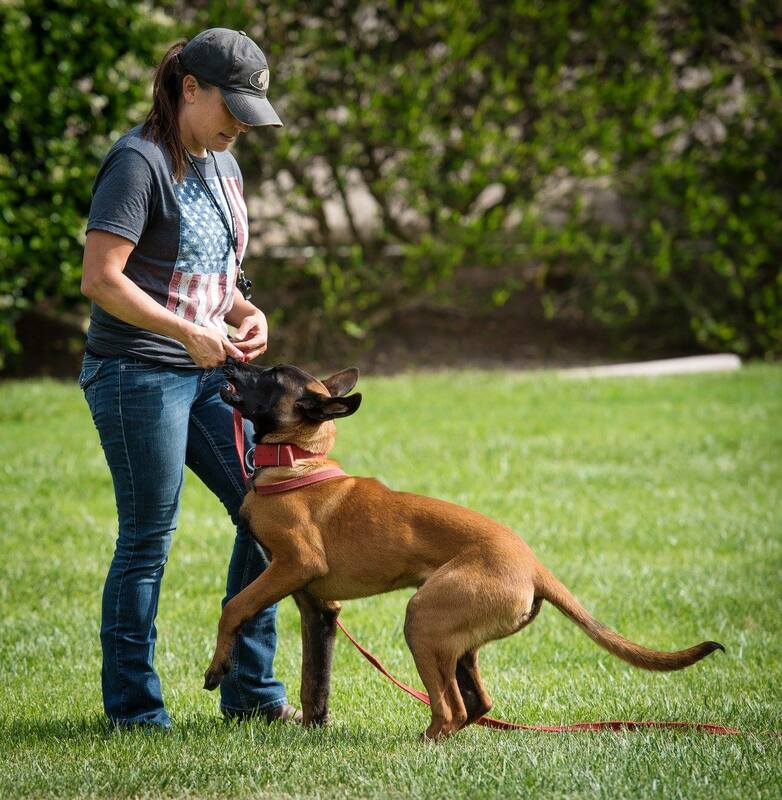 Our programs are fully tailored to YOUR learning experience to give you all the tools and support you need to be the BEST owner and handler for your dog. Have you ever drove to meet your trainer, had a lesson, and then left scratching your head, thinking "What do I do now?". Not only do you have to spend your valuable time driving to and from your trainer, you'll likely have to work around your trainer's schedule. And if your trainer is one of the best, that may not be an easy feat. Once there, you'll need to listen and remember your lesson all while handling and working your dog. And when you return home, you'll have minimal to no notes for reference and, even with the best trainers out there, you'll get minimal support. That isn't a recipe for success. Our training is different. Our training programs are built on the basic principles of how PEOPLE learn best. We've tailored our programs to maximize your success, by teaching YOU both the WHY and the HOW in a way that you'll understand and retain. You'll learn to read your dog's behavior, and you'll be given real actionable tools you can implement to hit your goals, whether they be improving your relationship with your pet dog, or competing in high level competitive sports. Meagan is AS GOOD AS IT GETS! She transformed my 95-lb dog with fear/aggression issues into a contributing member of society! I started working with Meagan while I lived in San Diego, and was so impressed with her that I shipped my dog to her from Virginia to Texas, because I knew she would get the job done. In my opinion, what differentiates Meagan from other trainers is that she actually gets to the root of the problem, rather than relying on quick Band-Aid fixes that don't solve the issue. "As good as it gets" is the perfect rating for Meagan Karnes of The Collared Scholar. WE LOVE MEAGAN and all she has done for the rescue community. I am one of the San Diego County Foster Coordinators for Russell Rescue, Inc. which is a breed specific rescue for Jack Russell Terriers. And, if any of you know the breed, you know that they are referred to as Jack Russell Terrorists which is why we love them. Meagan has provided her time, love, attention and training to help rehabilitate some of our more severe dog/dog and dog/people aggression terriers that have entered into rescue. Without Meagan's help and direction to provide the appropriate tools, I know there are a few that we would have had no other choice but to have to put down because we didn't have the skills necessary to work with them. Meagan is always there for us and our fosters to contact with questions or concerns. She always makes time for us and it seems that somehow, she always makes room for "one more" to provide the training needed to get them back on the right track so they can be adopted into their forever homes. But Meagan doesn't stop there. Once the dogs have been adopted Meagan will work with the new owners to make sure that they have the tools in place to continue the rehabilitation and make sure that it is a win-win situation for everyone. Meagan has an amazing ability with the dogs that she trains. I have been fortunate enough to work with some great trainers. In fact, Meagan trained my older dog, Mac. The training we received was just what we needed to take Mac from a very scared, hyper, driven puppy to a happy well adjusted dog. Mac is 8 now, and I receive compliments on her daily. 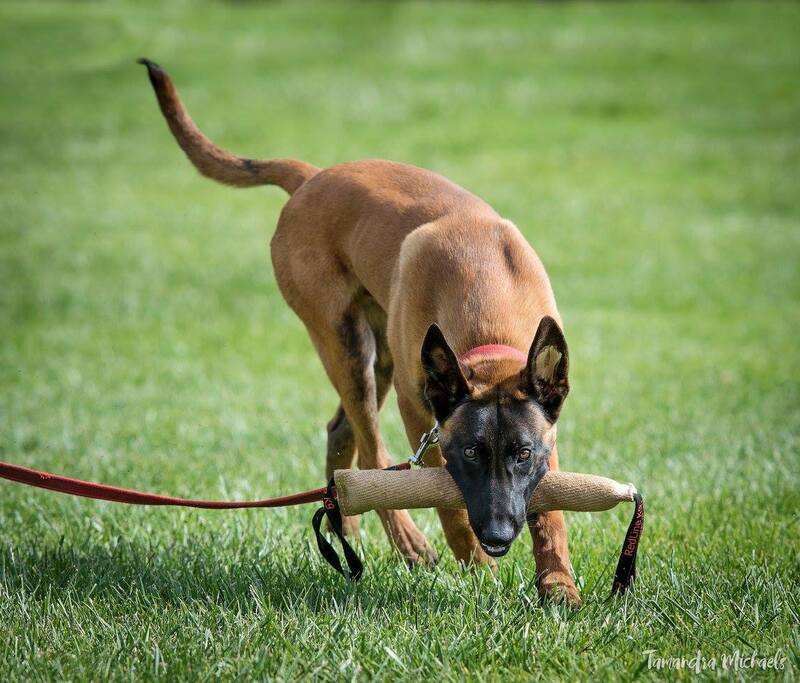 Fast forward a couple of years and I dove into the world of Malinois. 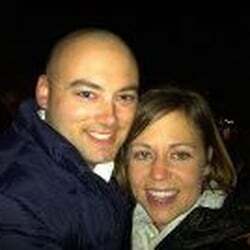 When I started having trouble with Manic, I of course reached out to Meagan, but I was no longer in the same city for in person help. She had a number of online programs but I was VERY skeptical, because I knew how valuable in person training was, and quite frankly wasn't sure it was going to translate into an online course. But, I figured it was better than nothing. So I started working through the Focus First course. I was getting videos ready to send to Meagan (The VIP Access, was so worth it), but I noticed something - I was training more than I had been before. It fit into my lifestyle. I am a night owl, so watching the next module could be done at any time- 1:00 am was a great time for me, and I had full control over the schedule, how fast we went, etc. It was working!!! I very nervously sent our first training video in, and then waited for the response. I had figured I would get an email detailing what we could change to get even more results. What I got back was a clip of Meagan watching the video with me. She stopped at points when there were problems, pointed out things we were doing right, and made me more aware of what I was telling my dog through my body language. It was so much more than I expected. The best thing about the course, I could move at my own pace, and if we were having issues with one module, I just went back through it. Unlike in person training, I could watch a lesson without my dog on a leash attached to me. I could focus on the lesson, then grab my dog and continue to hit play and pause as we went though each lesson. It was even better than in person training! I am very happy to say we have moved through Focus First, and are onto Focused Heeling. I still go back and re-watch videos when I need a refresher. We are training in French Ring, gearing up for the CSAU, and my heart races even as I type this, his Brevet. I can honestly say none of this would be possible without Meagan and The Collared Scholar. 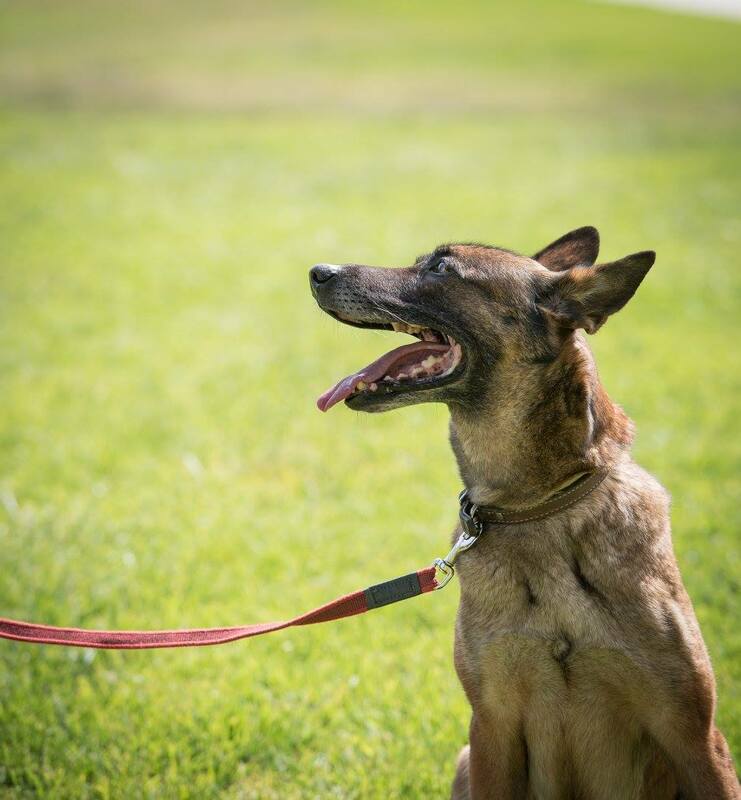 With an extensive background and experience in dog psychology and training, Meagan began her career rehabilitating severely aggressive dogs, and quickly graduated to raising and training working dogs for sport and law enforcement applications. She also has years of experience in corporate training and human performance training, and has recently developed a specialization in the training not only of canines, but of HUMANS as well. Meagan raises and trains her own dogs for French Ringsport, Personal Protection and IPO and, in addition to training over 800 pet dogs in her career, she has also raised and trained dozens of dogs for private and executive security and military and law enforcement applications. 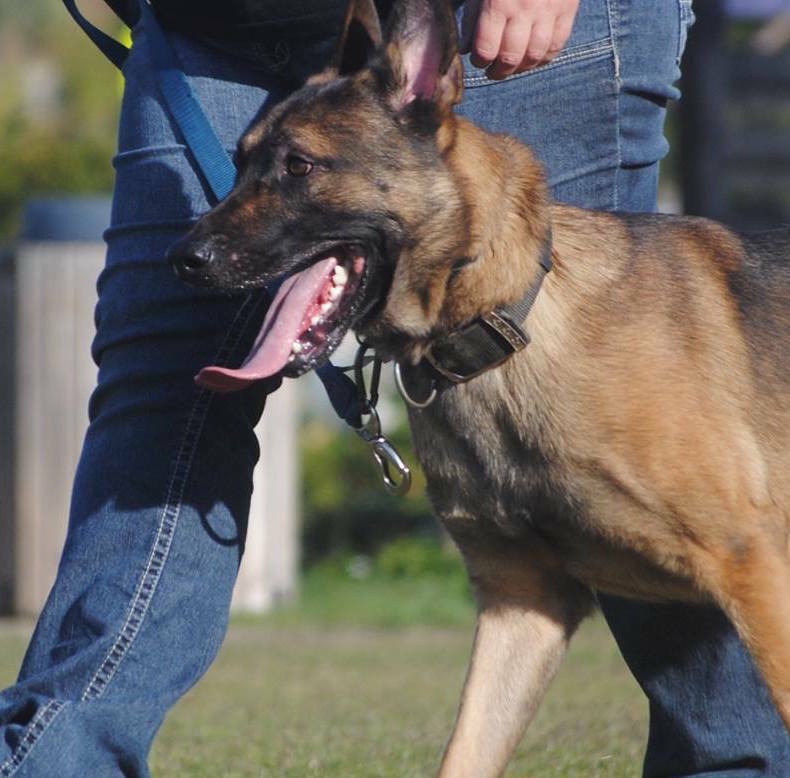 Most recently, Meagan has been traveling cross country with her K9s, speaking at executive retreats on the parallels between human behavior and motivation, and high performance dog training. 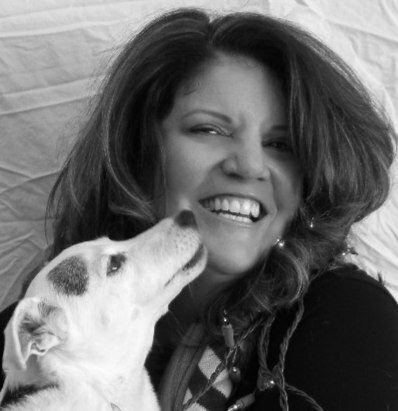 She utilizes her K9s to teach executives and corporations about team work and leadership. Have a question. Don't hesitate to contact us directly! Q) What kind of videos do you accept? A) You can take a simple cell phone video to send for your submissions. You can upload your video to Youtube or Vimeo, email it directly, or upload via a file sharing program such as dropbox and submit it that way. Keep it simple and short, and keep the volume turned UP. Do not edit the video - we want to see the entire story. Q) When are you available for LIVE coaching sessions? We do our best to fit coaching sessions to your schedule. We are available Monday through Saturday from 9am until 7pm Pacific. Q) What training methods do you use? A) We tailor the training program to the individual dog and handler team. Our techniques are centered on motivation based progressive training methodology. However, if you opt to choose a balanced approach, we are happy to mentor you on how to be the most effective and humane with the tools you use.